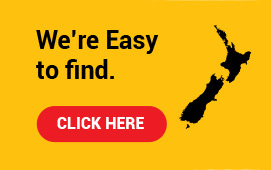 Auckland Auto Clinic 2012 (Ltd) is conveniently located at 291 Church Street, Onehunga and is 100% New Zealand owned and operated. We specialise in service and repair of all european brands from classic to the very latest models - Audi, BMW, Mercedes through to VW and Volvo. Auckland AutoClinic are LTNZ certified with Warrant of Fitness authorisation for cars, light trucks and trailers. Our WOF’s are thorough, your safety on the road is our priority. We can repair your tyres onsite and if you need tyre replacement we supply all major brands including, Bridgestone, Continental, Dunlop, Kumho, Michelin and Pirelli tyres at very competative prices. AutoClinic also has the latest 3D wheel alignment technology enabling us to do a wheel alignment while you wait and provide you with a print out of how the alignment was upon arrival and showing the changes made during the wheel alignment. We do compliance repairs and certifcation for imported vehicles and can also help with your Vehicle Importation Certification. 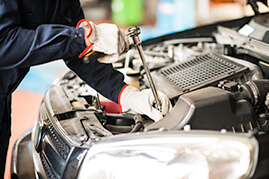 We have a team of five qualified mechanics and auto electrician and we fully guarantee all parts and workmanship. We also offer an emergency service if you breakdown. Our premises are protected by 24 hour camera surveillance and a monitored security alarm. And for your total peace of mind, we are insured for up to $5,000,000 of indemnity cover. Company Registration number is 3609471. GST Registration number is 107-894-905. For your convenience we accept Direct Credit payments to our account - 06-0103-0284659-00. Just use your registration number and invoice number as reference. Excellent service. I've been using these guys now for a number of years and have never had a problem. Always on time and very reasonable costs. I get both our family vehicles serviced here every 6 months and would recommend them fully.